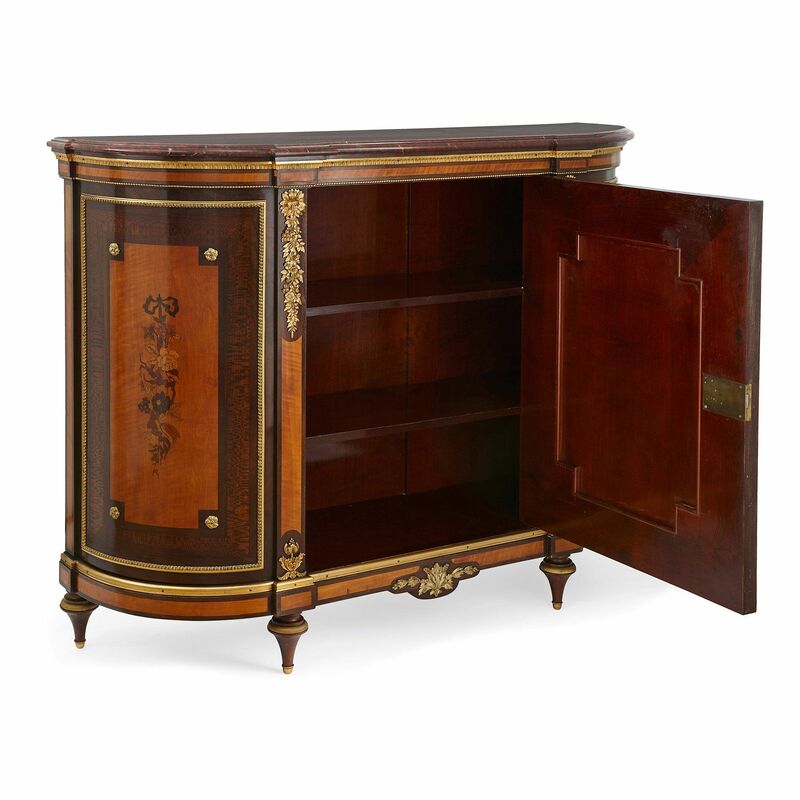 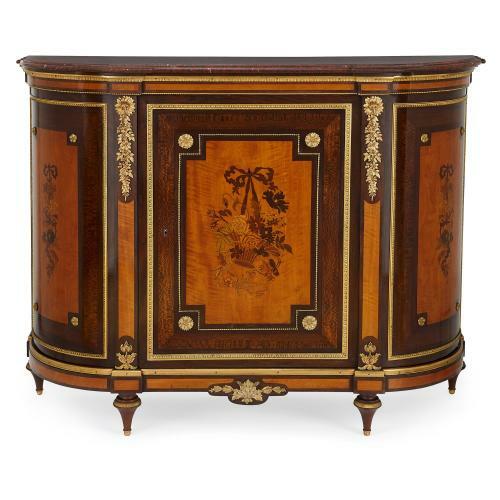 This beautifully executed Napoleon III period curved cabinet is a stunning example of the work of French 19th Century master Jean-Louis-Benjamin Gros. 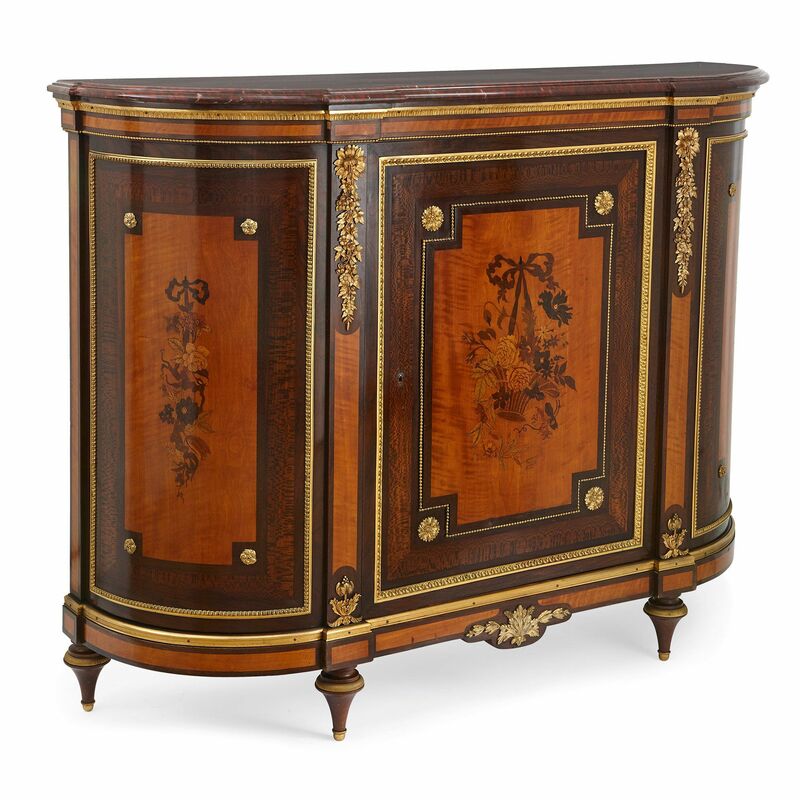 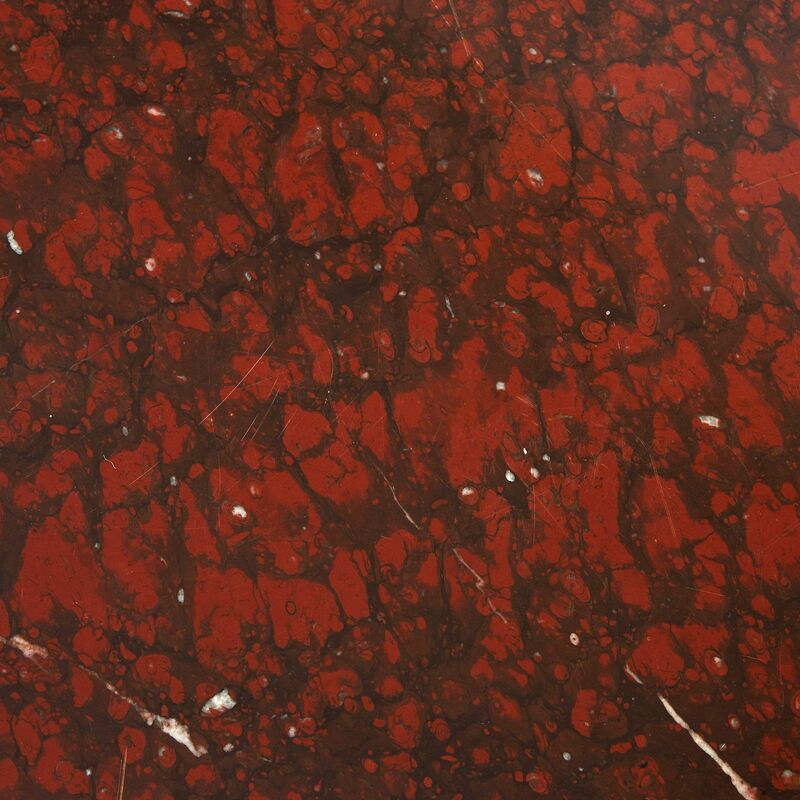 The cabinet is curved in shape and is set with a veined red marble top above an egg and dart ormolu band. 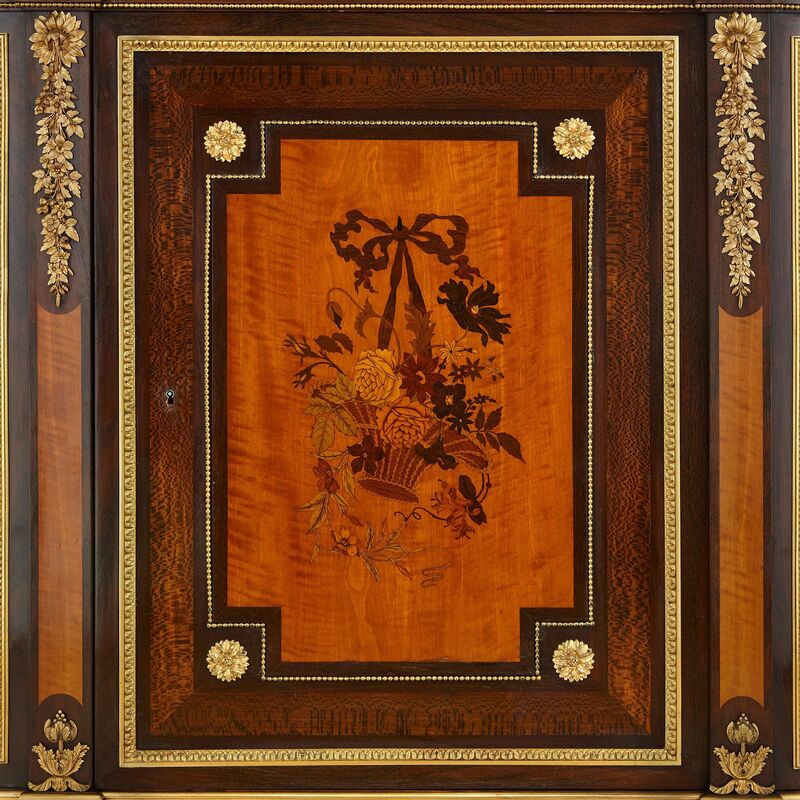 Below this there are three marquetry panels: two curved panels either side of a central front panel which also serves as the cabinet door, opening to reveal three shelves. 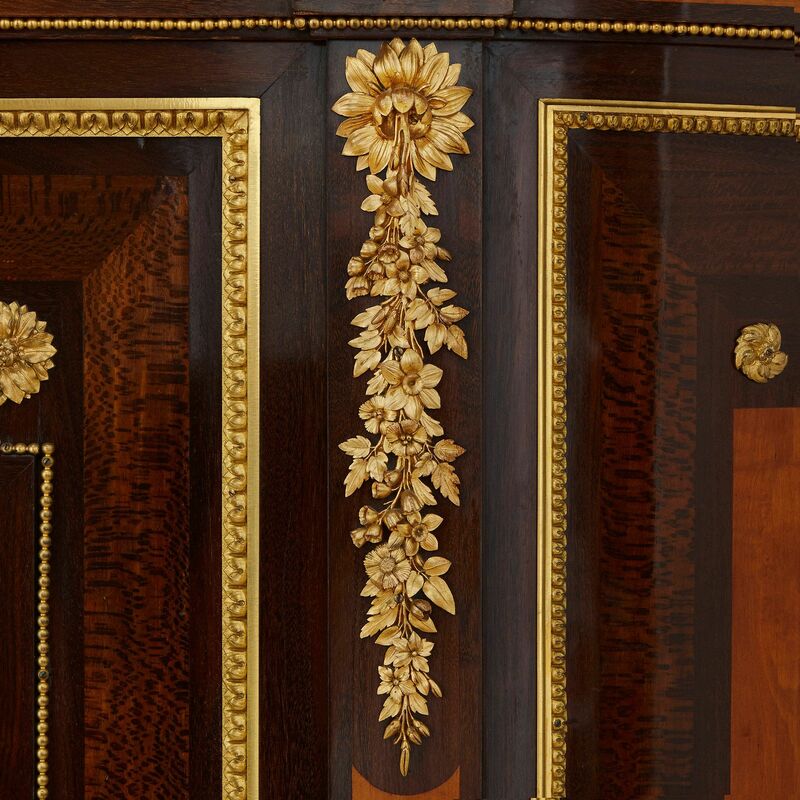 The marquetry designs show flowers and ribbons, and on the central panel, a basket. 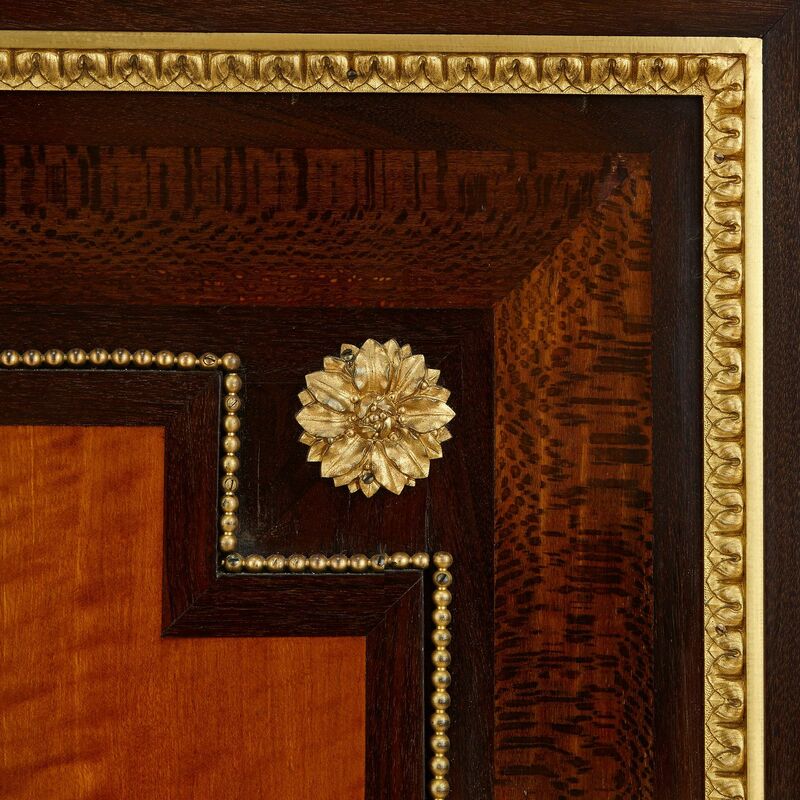 The four corners of each panel are mounted with ormolu flower heads, and they are set inside borders of darker, contrasting wood, and ormolu banding. 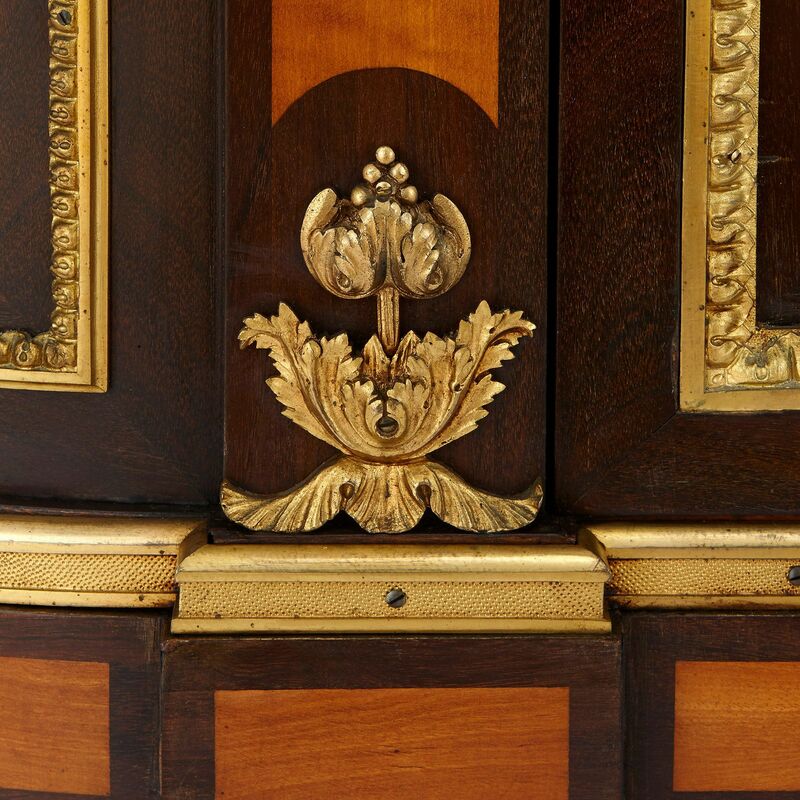 The pilasters on either side of the central door are likewise mounted with floral motifs in ormolu. 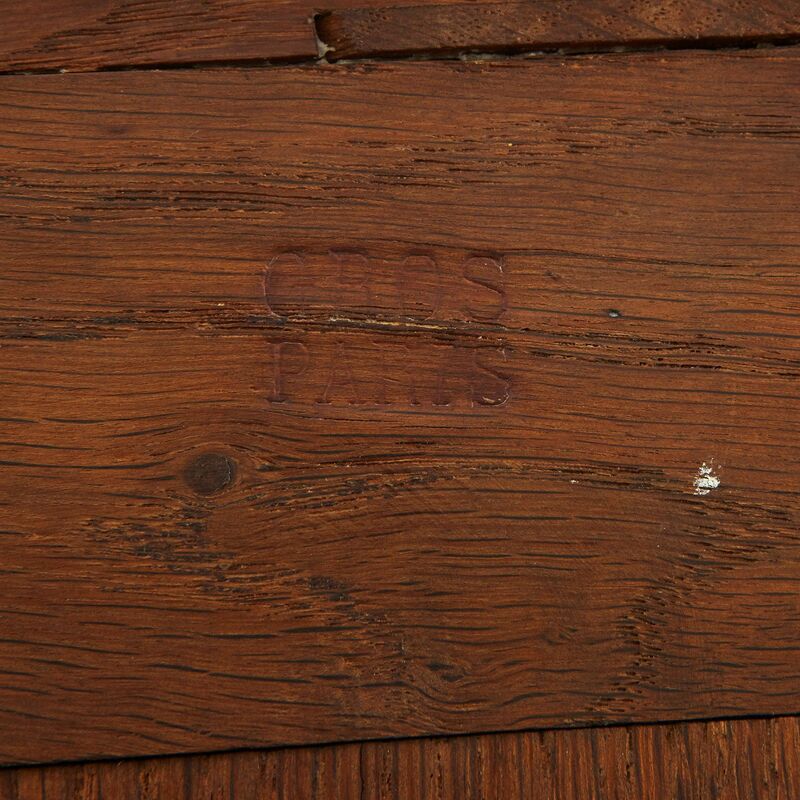 The cabinet is set on four short feet, and is stamped 'Gros / Paris' twice on its back.